We were ready to do a mural for our son’s nursery and I Googled murals and found Morgan. Her work was so beautiful on her website. She was able to do something even better for us that really captured everything we were looking for that we didn’t even know. We are so happy and we love it. 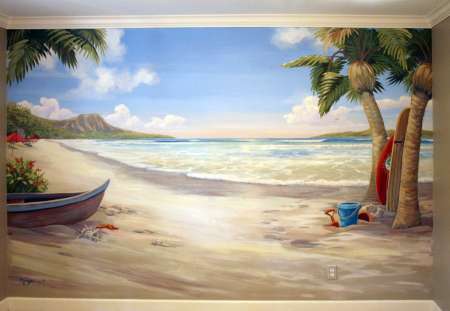 View detailed photos of the beach mural Morgan painted for Tal.